First brewed February 15, 2016. Tim and Melanie at the Carolinian Hop Yard in Norfolk County grow several varieties of hops and we’re proud to brew using them all. The Pound Galena is the fourth in our single-hopped beer series that features hops from Norfolk. This series of beers was born from the realities of farming: the Sterling hops for our popular Pound Sterling were not available due to a poor yield. With a commitment to a truly local beer, our head brewer Aaron devised a plan to continue to brew a fantastic English Pale Ale while highlighting the flavours of local hops. 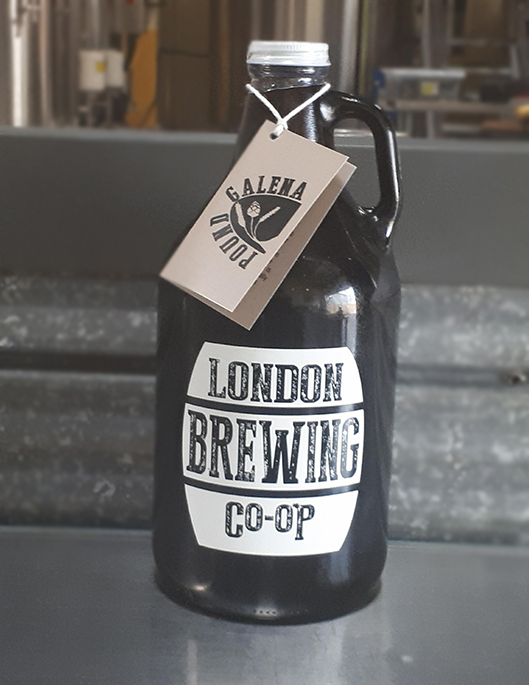 The Pound Galena is our favourite from this series as the hops pair well with the locally grown organic Newdale Barley and the organic Munich malts which deliver a full-flavoured pale ale. The locally grown organic Newdale Barley and the organic Munich malts deliver a full-flavoured pale ale.